BOOK SUMMARY: A biography of the American legend, Walt Disney, chronicling the failures, successes, relationships and experiences that shaped this fascinating man. Angie, who moderated this book club meeting, came up with a fun way to discuss this book. She divided up the group into 4 groups, by giving each book club member a pair of "Mickey ear" clips themed to a certain land in Disneyland - Adventureland, Fantasyland, Frontierland, or Tomorrowland. Each group was given a time period of Walt's life, and were asked to come up with some discussion questions/topics for the whole group to discuss. Then we all got back together and went through the questions. 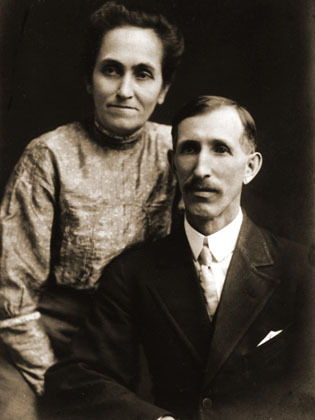 was his relationship with his father, Elias Disney. His father was a very strict and stern man, who made his children work very hard, and did not shy away from corporal punishment. Was he abusive, or is part of our perception of him due to generational differences? What impact did his father have on how Walt would deal with things later in his life? They both had to deal with a large amount of failures, but they did so in different ways. The second group was given "the war years" - what happened to Walt and his studio during WWII. In 1941 Walt received a call telling him that 500 army soldiers would be moving into his new studio building, and that they needed to remove the film equipment to make room to install gear for repairing trucks and anti-aircraft guns. They stored ammunition in the employee parking sheds. About 1/3 of Walt's artists were drafted into the war. The studio made many instructional cartoons for the government, as well as designing more than 1,400 military insignia. The studio lost a lot of money on the government work that they did, and got even deeper into debt. The interesting thing to discuss was Walt's attitude toward all of this. He is quoted as saying "I had to do it. Those kids grew up on Mickey Mouse. I owed it to 'em." He had a surprisingly good attitude toward it, and wanted to do his part to help the country. The third group was given Walt's adult years. 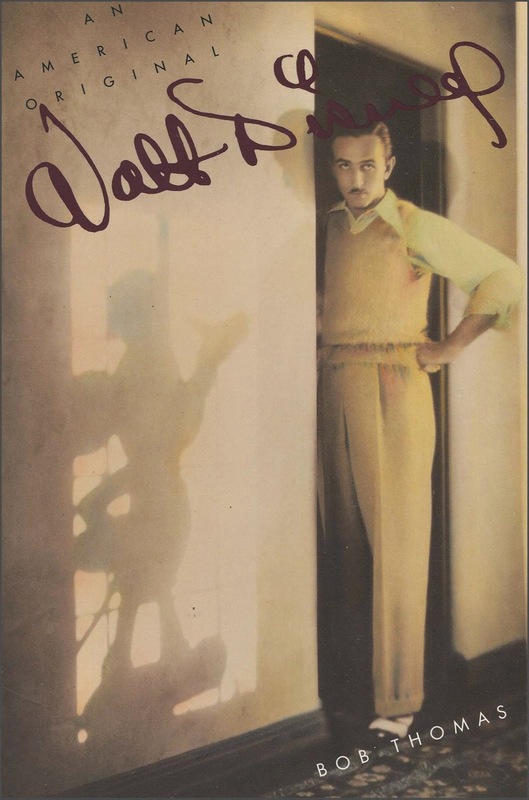 We had an interesting discussion on the relationship between Walt and his brother Roy. 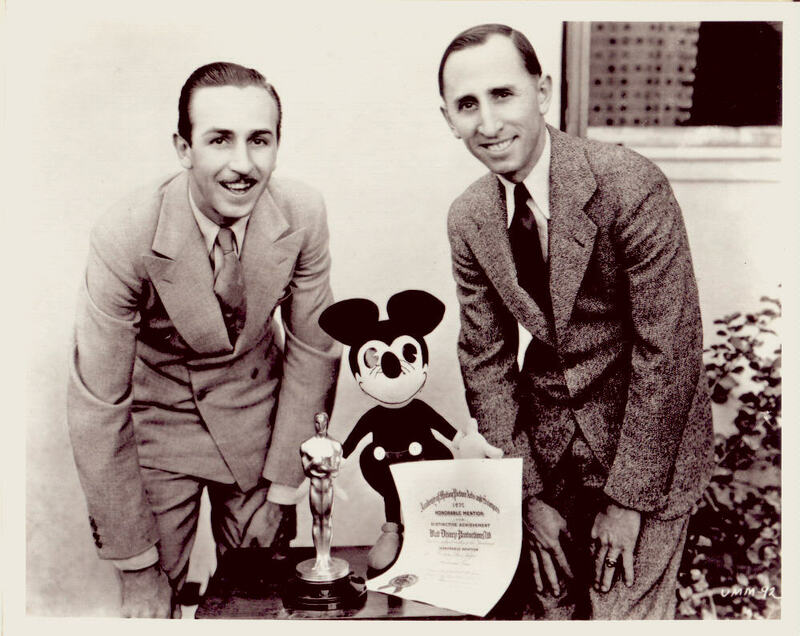 They were very different - Walt was the creative dreamer, and Roy was often the one who dealt with the practical issues, and helped keep the company running. They often had disagreements about things, but were also quick to forgive, which is something we really admired about them. Some members said they wished that the book had been able to include more about Walt's family life. The last group was given the topic of Walt's legacy. 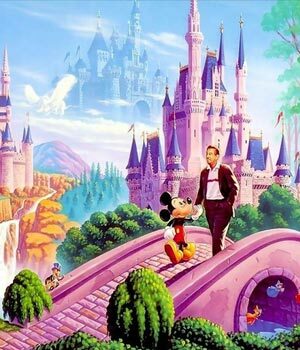 We discussed what we thought Walt would think of the company now - including the Disney Channel, the theme parks, cost of food at the parks, the direction of the animation department, Pixar, commercialization, straight to video sequels, etc. Of course it is a mixed bag, but we did think he would love the attention to detail and storytelling that Pixar brought back into the movies. We also went around the room, and everyone shared their favorite Disney movie, and told of a way that Disney impacted their childhood or adult life. It was really fun to hear about funny childhood memories, Disney park engagements, and to realize what a large impact Walt Disney has had on us all. We were sad to learn that Bob Thomas died very recently, just in March of this year. He was an American Hollywood film industry reporter and biographer. 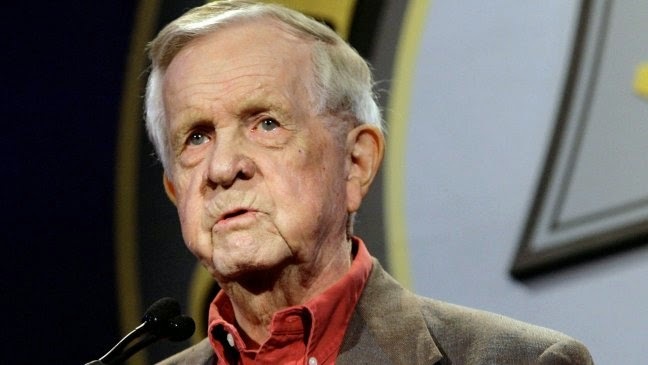 He covered a record 66 Oscar ceremonies as a reporter, and interviewed many of the industry's biggest stars. He was the author of nearly 3 dozen books, including biographies of Walt Disney, Abbott and Costello, Marilyn Monroe, Katharine Hepburn, Joan Crawford, Marlon Brando and Liberace, among others. 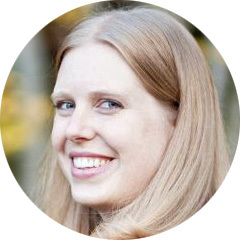 Great Recap of our meeting Jenny! It was a fun evening!